Enjoy an educational visit to one of Connecticut's best museums. Learn about art, science, and history while letting your imagination run wild and participate in hands-on activities. The Nutmeg State features family-friendly selections, museums for art lovers, and so much more. Pick a day with good weather to visit Mystic Seaport, as this is an extensive outdoor museum. Mystic Seaport, located in Mystic, is the largest maritime museum in the United States and truly is a memorable place to visit for learners of all ages. West Hartford’s Children’s Museum is a colorful, mostly-indoor museum geared toward children of all ages. All exhibits are interactive and allow for creative thinking and individual exploration of the sciences. The Yale Peabody Museum in New Haven has a long history (150 years) and has excellent educational exhibits on Native American cultures, human origins, evolution, primates, and more. It is a fascinating museum to visit, and often holds events for children and lectures for adults. The Connecticut Science Center in Hartford is a newly-built science museum focused on STEM education and hands-on activities for children. Explore their rooftop garden, learn about muscles, get your hands dirty in their touch tank, or build with giant blocks in their young children's room. Mystic Aquarium is a favorite among parents and children alike. 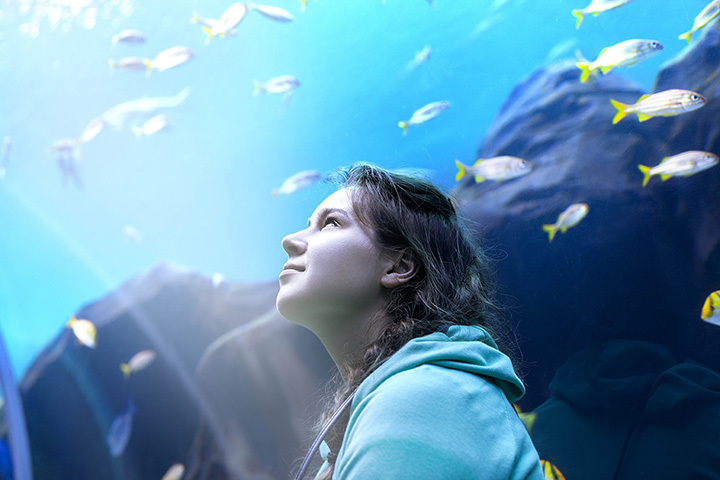 Marvel at the numerous tanks full of jellies, sharks, and species of fish, or watch the African penguins waddle around their above-ground habitat and swim gracefully in the water. Mark Twain, the author of “The Adventures of Huckleberry Finn” and many other novels, lived in this house (which is now a museum) from 1874 to 1891. Learn about his life and his family, and see preserved rooms. The Mashantucket Pequot Museum is an excellently executed educational museum about indigenous American cultures with a focus on Mashantucket Pequot people. The Yale University Art Gallery was founded in 1832 and holds more than 200,000 objects from all over the world. Held in the former home of Florence Griswold, an impressionist artist, this art museum was the center for American Impressionism. See examples of this art style in the museum and learn more about their works on their website.